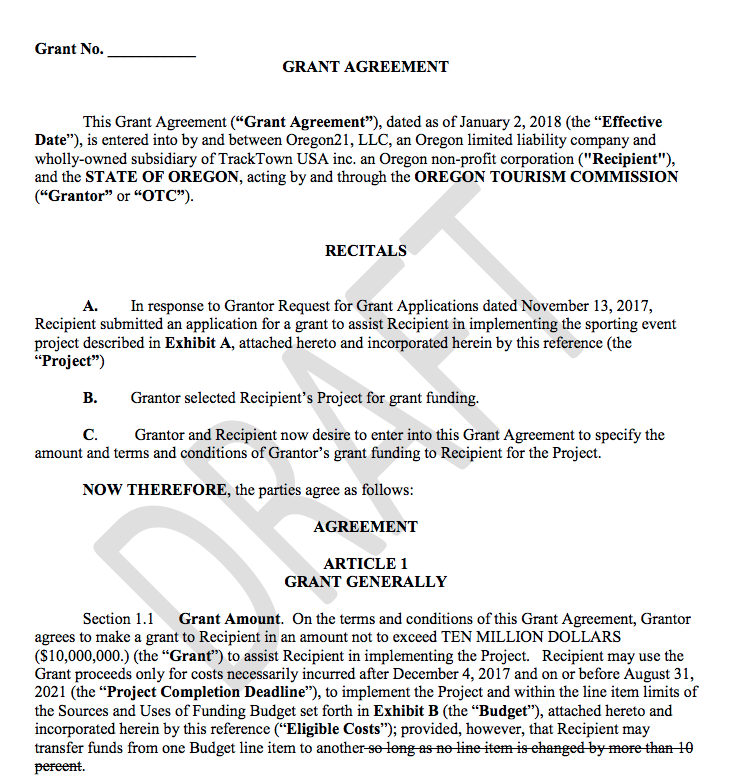 “It is Travel Oregon’s perspective, barring DOJ counsel to the contrary, that language included in future contracts referencing ‘pending investigations’ relates to any investigations in which the successful applicant/awardee is named as the subject or otherwise included as one of the subjects of that investigation,” [Travel Oregon spokesperson Linea Gagliano] said in a written response provided to The Register-Guard. The Oregon DOJ declined to comment. 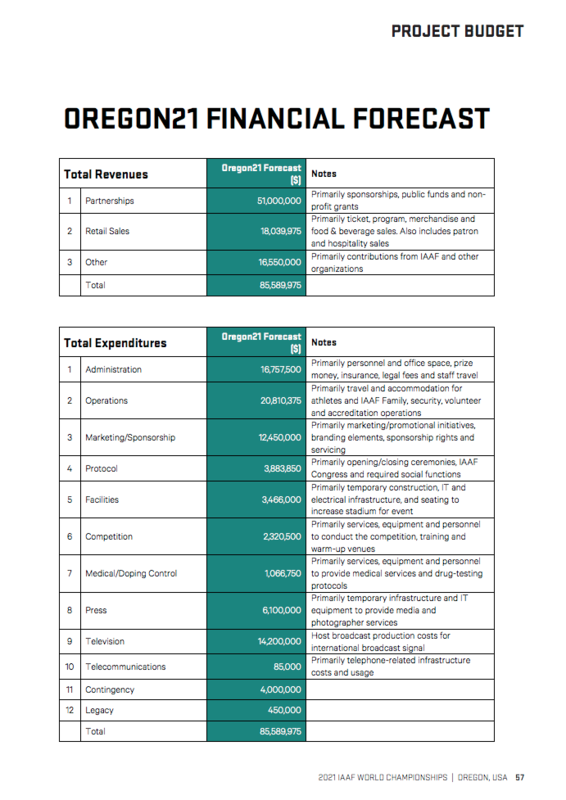 Meanwhile there’s still no budget for how Tracktown/Oregon21 proposes to spend these state funds. When Vin Lananna, president of TrackTown USA, and Paul Weinhold, president of the University of Oregon Foundation, first contacted then-Gov. John Kitzhaber in mid-2014 to request a $40 million state subsidy for TrackTown’s bid to hold the 2019 track world championships in Eugene, they were met with coolness and skepticism, newly released emails show. Nonprofit TrackTown’s request contained “probably as much as $20 million that we would never want to consider subsidizing,” he added. “I don’t think the state should be even considering something larger than $20 million” to help fund the event in Eugene, he wrote. The subsidy request — which would require three-fifth votes in both chambers of the Legislature — also was met coolly by Salem’s two most powerful legislators, Senate President Peter Courtney and House Speaker Tina Kotek, both Democrats, Porter’s emails indicate. Yet, only five months later, Kitzhaber publicly pledged to “use all the means at my disposal to deliver the financial support needed for the championships” in a video message he sent — along with then-Secretary of State Kate Brown — with TrackTown’s team to the International Association of Athletics Federations bid meeting in Monaco in late November. For the first time in that video, Kitzhaber endorsed a specific amount: the full $40 million. Getting the governor to publicly state the $40 million was a priority for TrackTown, Porter’s emails show. What happened between Kitzhaber’s initial resistance and his endorsement? His campaign coffers were swamped to overflowing with donations from people who want the track world championships held at the UO’s Hayward Field. The legislation eventually passed, and on Dec 5th 2017 Travel Oregon voted to award Oregon21, Tracktown’s for profit subsidiary, $2.5M over the next 4 years for the IAAF 2021 championships. Shortly afterwards, the NYT broke the news that the IAAF’s decision to award the 2021 championships to Tracktown was the subject of a federal investigation. 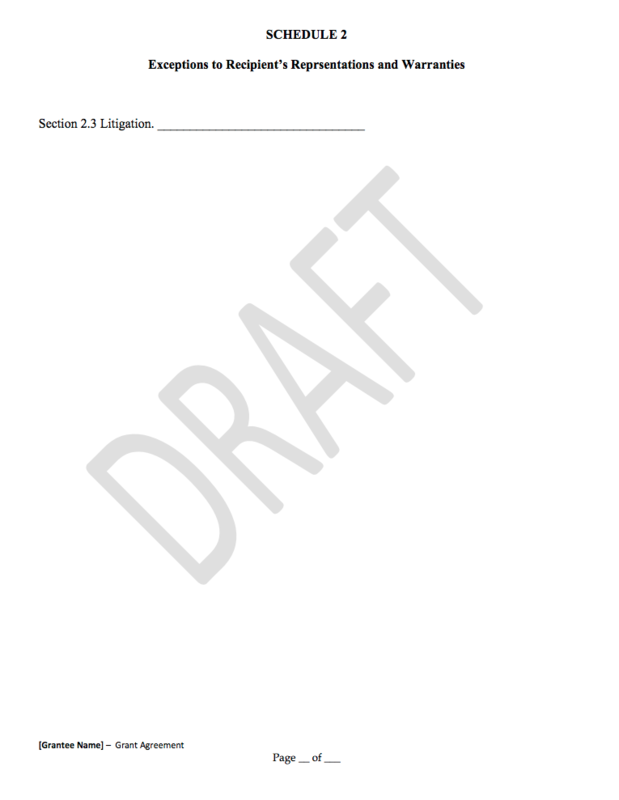 The Oregon DOJ has been sitting on the Tracktown contract ever since, refusing to approve it. Perhaps Lananna’s resignation as head of Tracktown and Oregon21 will make it possible for the DOJ to now approve this contract. 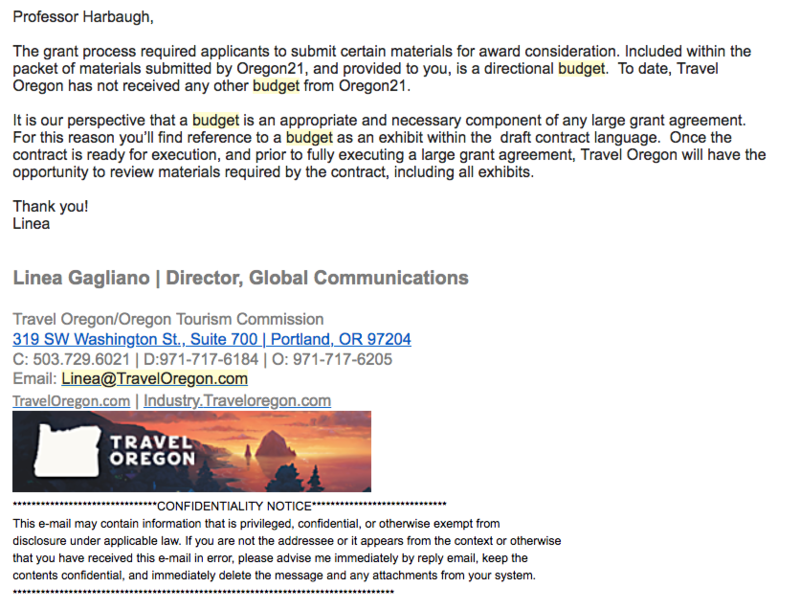 However, Travel Oregon did not give the DOJ a copy of Tracktown/Oregon21’s application or the proposed budget for spending this $10M in state funds. The full 200 page glossy application is here. 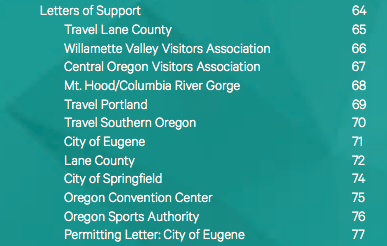 They’ve got letters of support from everyone except UO, and the application barely mentions UO. Weird. Really? The next day the commission voted to give them the $10M. They still haven’t got a cent of it though, thanks to the Oregon DOJ. Tagged Track and Field Championships, Vin Lananna. Bookmark the permalink. Please look into the GAO investigating the Confucius Institute. They are on campus interviewing personnel. Yes, I’m meeting with them this afternoon.